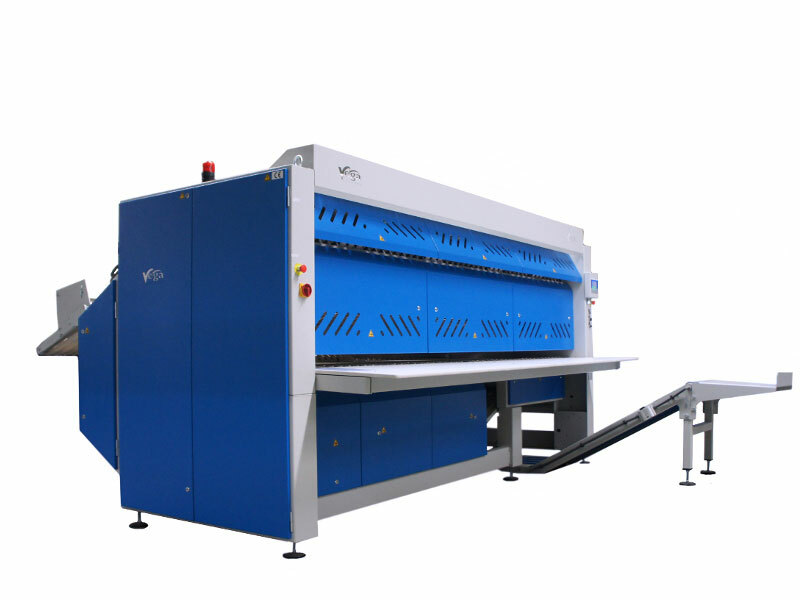 Vega Systems UK roots lie in finishing systems, and the brand’s feeders and folders rapidly earned a reputation for their ideal blend of innovation and value. With a passion for intelligent, practical development, Vega innovation responds directly to client needs and wishes. We aim to deliver the industry’s most comprehensive finishing range and of course, we can always tailor our machines to match your individual specification. A simple feeding aid for small or large items. If your process needs the human touch, operators can easily influence the quality and presentation of the finished pieces. 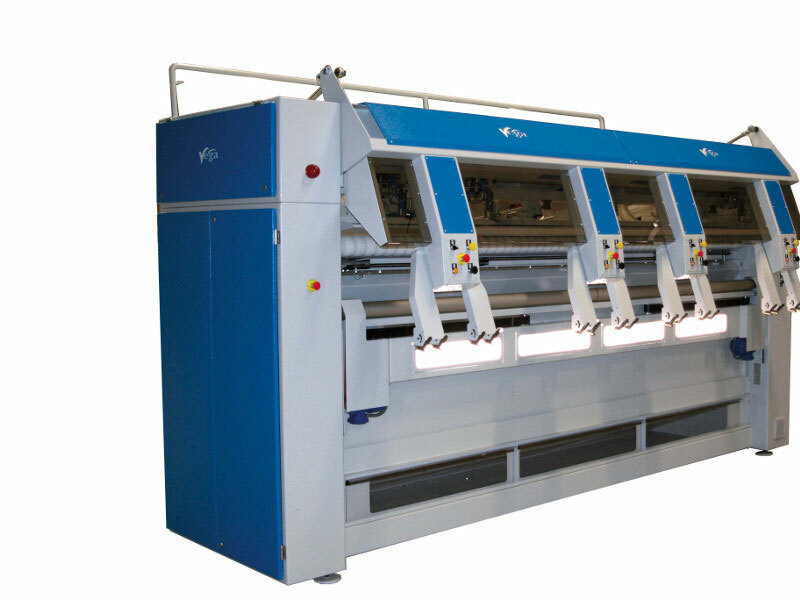 These SelectFeed machines deliver automated spreading and laydown with the emphasis on superb quality. Available with one, two, three or four automatic clipping and spreading stations, the SelectFeed has a huge suction chamber that accommodates even the heaviest sheets and duvets. The design of this ergonomic, high-performance feeder’s articulated clipping stations and suction bar comes from our top-of-the-range TransFeed Auto model, delivering the optimum combination of high speed and excellent quality. The class-leading TransFeed Auto gives the most sophisticated and efficient automation available in a feeding system. 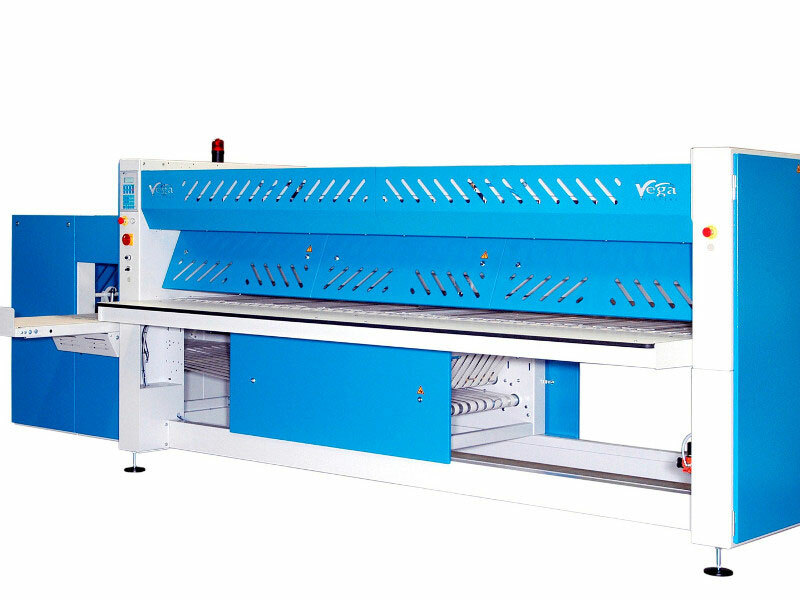 It is capable of outstanding speed and consistency, and its remote clipping system brings exceptional productivity benefits. 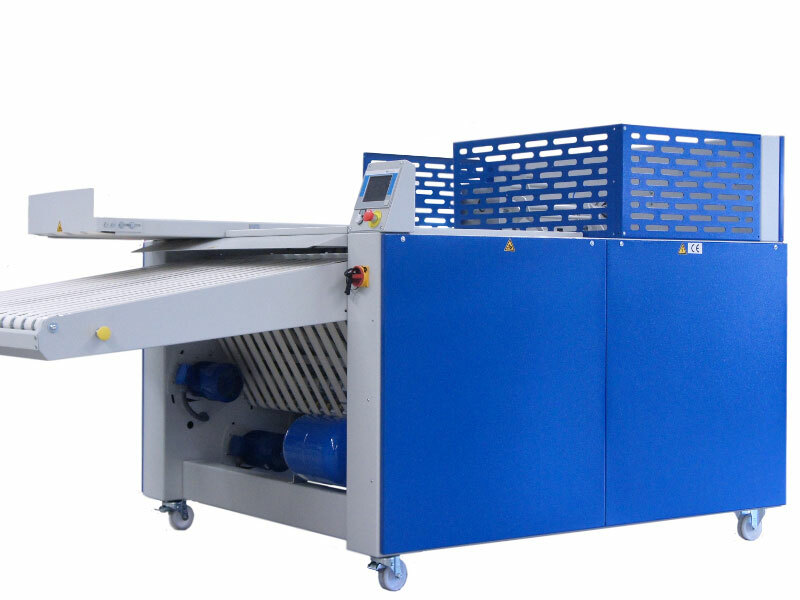 Economical to buy and run, the VegaFold is our standard airblast folder, built to withstand the heavy demands of today’s high-production laundries. The VegaFold is available with numerous folding options in single- or multiple-lane configurations. Ideally suited to processing luxury restaurant and hotel linen, the APML’s belt reverse folding gives the perfect crisp finish on high quality items. 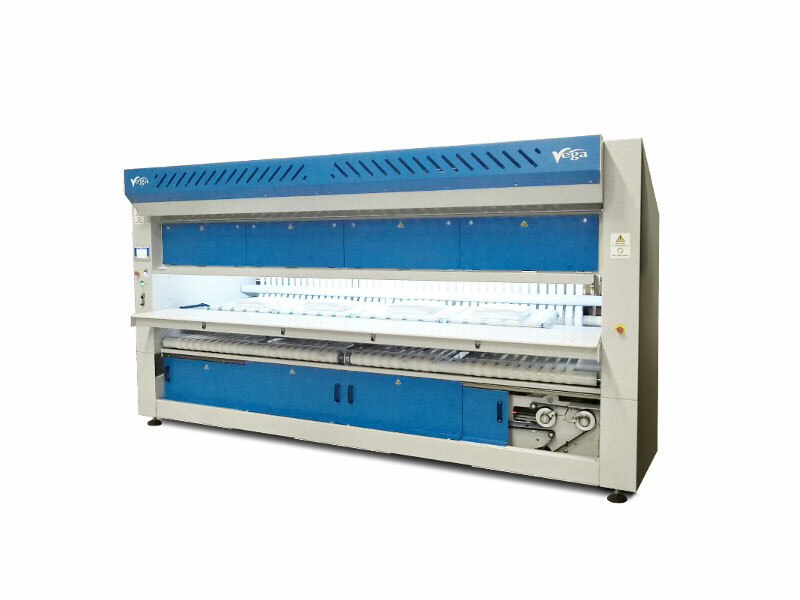 The Vega APML is available in single- or multiple-lane configurations. There’s no need to sacrifice finish quality even if space is limited: the VegaFold S folds and sorts large flatwork beautifully despite its super-compact footprint. 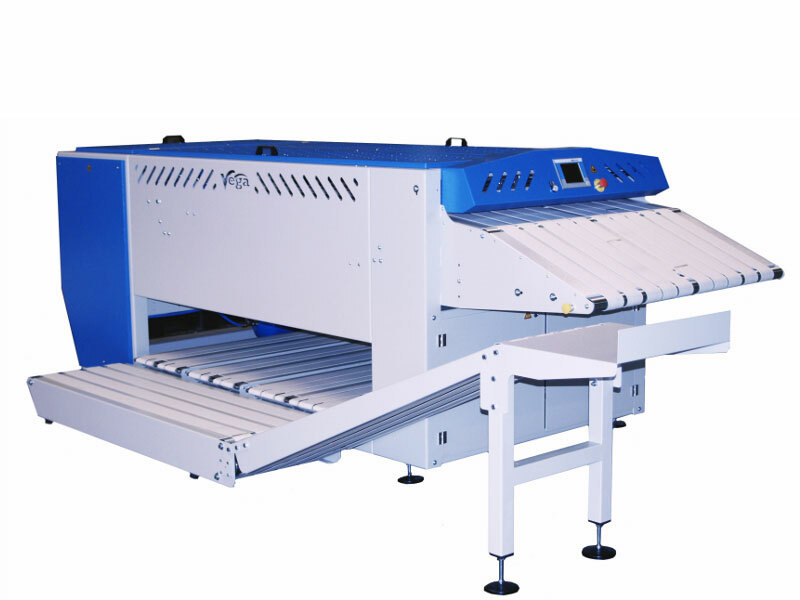 Do away with external drop stackers or stack-n-fold units… This remarkable machine has four stacking positions inside the frame of the folder, yet it’s narrower than an ironer! 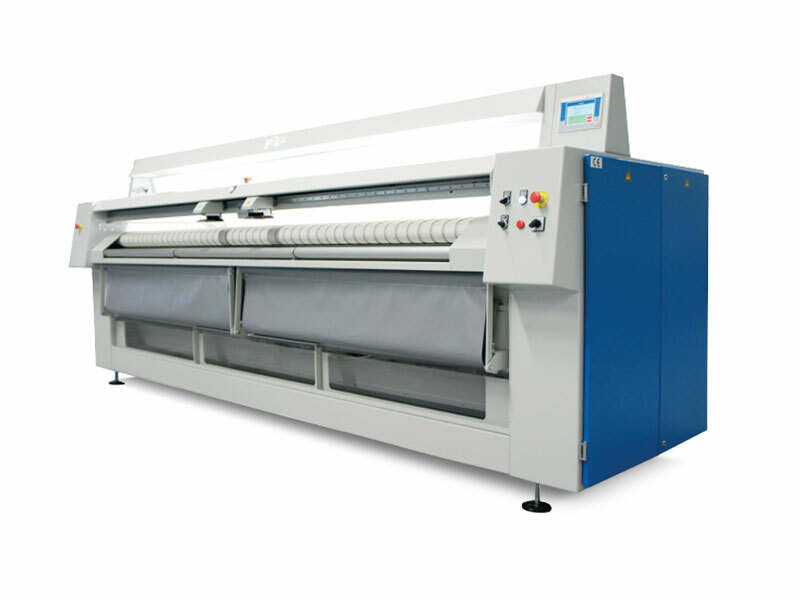 One of Vega’s most successful products, the APD is the ‘go-to’ machine for high-speed towel folding applications. 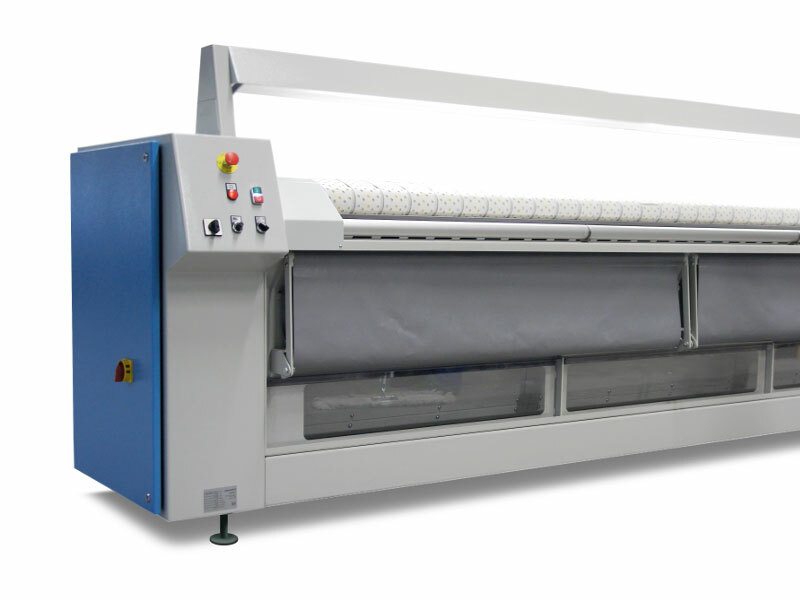 The APD is available with autograding to allow on-machine sorting of different towel sizes. 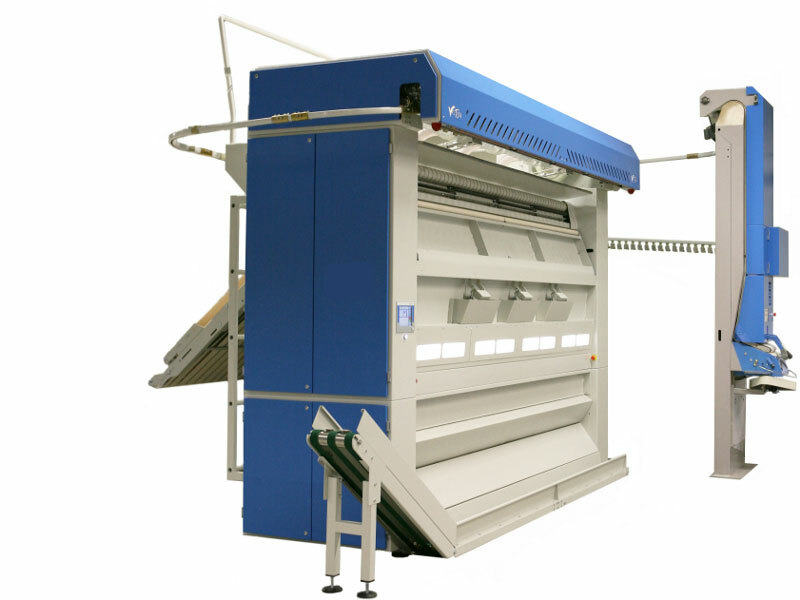 Contact Vega UK to discover how APD can raise your towel production! Available in two distinct versions for high-quality, high-speed processing and super high-quality processing, the MultiFold is Vega’s solution when French folded towels are a must.